The Dell XPS 13 became our top overall laptop by offering a 13-inch screen in a more compact package than its competitors, along with a winning combo of design, comfort, performance and battery life. Since its introduction, everyone has been trying to catch this ultraportable, but no one has been able to knock off the champ. 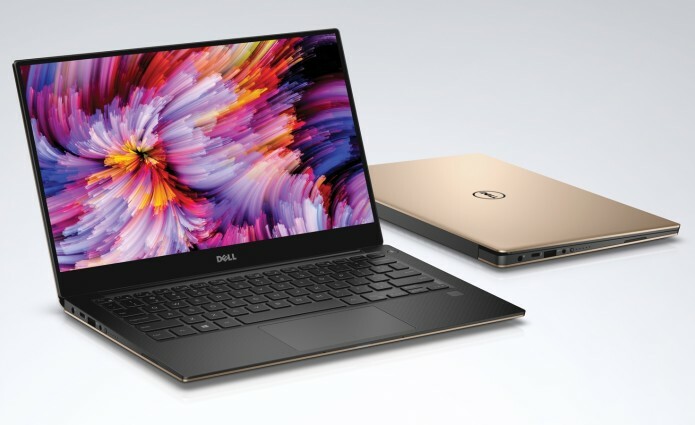 Now, Dell has raised the bar even higher with an update to its XPS 13 (starting at $799; $1,099 as tested) that adds the latest 7th-generation Intel Core CPUs (Kaby Lake), even more battery life and stronger Wi-Fi performance. You can now order this aluminum machine in a fetching rose-gold color, too, if you’re willing to pay more for it. The XPS 13 isn’t perfect — see the webcam — but overall, it remains our top pick.